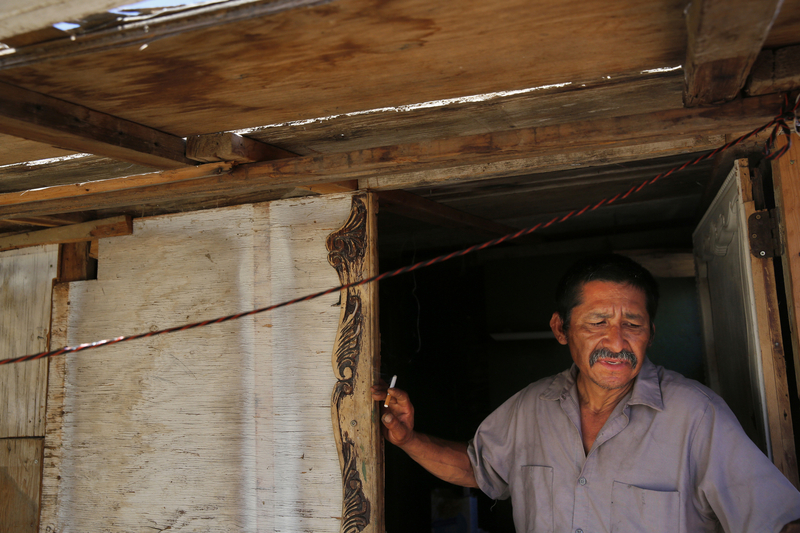 While trying to shelter from triple digit heat, Martín Hernandez Mena, 50, smokes a cigarette as he stands in the doorway of the home he built in the shantytown. Mena has lived for a year and a half in the canal bed. He moved after he could no longer afford rent in town because work was becoming more and more scarce.